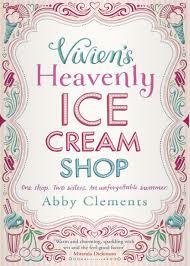 When Imogen and Anna unexpectedly inherit their grandmother Vivien’s ice cream parlour, it turns both their lives upside down. The Brighton shop is a seafront institution, but though it’s big on retro charm it’s critically low on customers. If the sisters don’t turn things around quickly, their grandmother’s legacy will disappear forever. With summer fast approaching, Imogen and Anna devise a plan. Rather than sell up, they will train up, and make the parlour the newest destination on the South Coast foodie map. I absolutely love reading this from the very first page I was drawn into the Story. I finished this book within 24 hours. Anna’s trip to Florence made me feel like I had been transported back there ( I have been twice) the descriptions were just beautiful not just of Florence but of the ice creams too and made me just want to eat them all. The book isn’t just about ice cream there is plenty of romance too. This book would be an ideal holiday read while you are on the beach devouring your ice cream.